In Texas, a driving while intoxicated (DWI) charge carries serious potential consequences. You face the possibility of fines, probation, community service, and jail time. Your driver’s license may be suspended or revoked. Your insurance rates will likely skyrocket if you are convicted or plead guilty to these charges. At Warren • Healy, our defense attorneys have significant experience handling DWI defense cases for clients throughout Dallas and the surrounding region. As former prosecutors, we know how to successfully attack the breath and blood results. 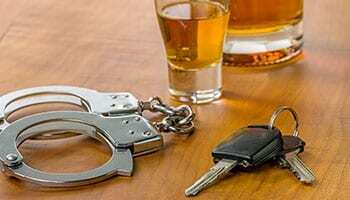 If you have been arrested for drunk driving in Texas, it is important to consult with an experienced defense lawyer as soon as possible. A conviction could affect your life in many ways. In addition to criminal penalties and driver’s license revocation, a permanent criminal record could keep you from finding employment and hamper you in other areas of your life. Our lawyers are proactive and aggressive in fighting DWI charges. We will explore all potential defense strategies, including challenging the stop, arrest, field sobriety test, blood and breath tests, and other elements of police procedure. If they have a stronger case against you, we will seek to minimize the damage. As former prosecutors, we know what negotiation strategies are likely to work in your favor to get charges reduced or to seek alternative sentencing. We will represent you in all aspects of your case, from the criminal proceedings to the administrative license revocation (ALR) driver’s license suspension hearings. Remember, once you receive a notice of suspension, you only have 15 days to request a hearing in order to prevent a driver’s license suspension or revocation.